How Long is Weed Good For Before it Goes Bad? Every day smokers might not have this problem, but for the occasional smoker, old cannabis can trigger a few concerns. 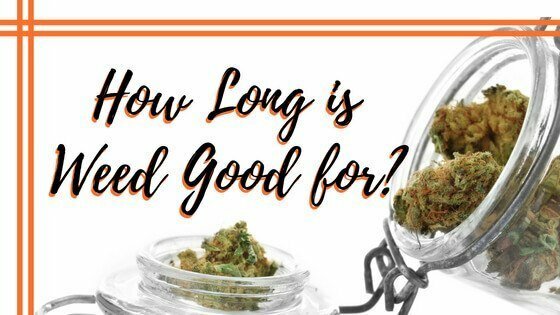 Just how long is weed good for? It's not like the dispensary puts an expiration date on the package. How long is it safe to keep smoking that old stash? Properly cured cannabis will last for six months, so long as it’s also correctly stored. If you’ve found a nug of cannabis in an old sweater pocket, under the couch or at the bottom of an ashtray, think carefully before smoking. These are not ideal storage conditions, and very likely, the weed has aged in a way that changed its chemical composition or exposed it to harmful bacteria. However, if you’ve just popped the top of a sealed glass jar, and a magical bud appears at the bottom from a few months ago, safe to say it’s likely innocuous to ingest. What Happens When Cannabis Gets Old? Cannabis is an all-natural organic plant, which means like all other plants it will eventually break down. All plants degrade with exposure to oxygen, and so too does your cannabis. As cannabis ages, one of two things will happen. It will either dry out so much that it turns to dust or if enough moisture is present, it will begin to mildew. The powdered dried up nug will smoke harsh, and likely with little to no effects. This is because most of the THC will have degraded to CBN which, while it does help you sleep, does not give you the feeling of euphoria you get from THC. The issues of a moldy stash are much more dangerous. How Can You Tell if Your Cannabis is Bad? 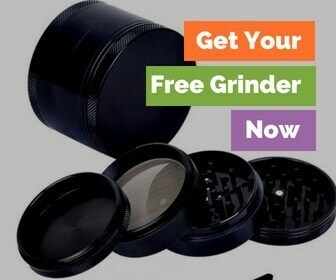 The smart stoner will plan ahead and date every package of cannabis they purchases. But let’s face it, the majority of us don't think that far in advance. If the cannabis is so dry that is turns to dust as you squeeze it, you might as well blow it away. Save your lungs from a possible future infection by only smoking clean, fresh and properly stored product. At the very least, prepare for a harsh smoking session. If you notice the cannabis smells rotten, sour, or has black or white spots on it, this means it's has developed mold or mildew. Don’t confuse sticky resin with spots of mold. The smell of mold is unmistakable, though. The risks of moldy weed are so severe, that if you can’t determine which is which, its safest to throw it out and start fresh. Can Old Cannabis Make You Sick? It cannot be stated enough; moldy cannabis will make you sick. The mold spores growing in your marijuana, will not only survive the incineration process but likely take up resident in your respiratory tract. If left long enough, mold sickness will produce coughing, headaches, fever and even death in the most severe cases. The symptoms often resemble pneumonia or a rough bronchial infection. How Should You Properly Store Cannabis? They are permeable, meaning they let low levels of oxygen in, which slowly degrades the quality of the product inside. Cannabis needs to be stored in a cool, dark place. Low humidity, low temperature and no exposure to sunlight. All of these elements will destroy the delicate cannabinoids and may increase the risk of mold. Don’t put cannabis in the refrigerator. While it might seem like a perfectly cool place to preserve the chemical compounds, there are massive fluctuations in humidity. Also, try to stay away from plastic storage containers as well. Plastic can contain harmful toxins, like BPA, which can eventually absorb into the cannabis stored inside. Freezing can also damage the delicate resinous trichomes, as they freeze and break off. Finally, if you tend to throw the pipe, roach and whatever else in the bag of fresh cannabis, the lingering stench will no doubt infect the rest of the product. What Are Some Simple Suggestions for Cannabis Storage? Nothing beats a glass mason jar for long-term cannabis storage, especially if you remember to open the lid and expel the gases ever few weeks. This process is called burping. There are also a hundred and one specialized cannabis storage containers on the market today. Each with exciting and innovative features designed to prolong the lifespan of the product inside. For the serious connoisseur, or for anyone with significant quantities in storage, you might want to consider getting a hygrometer to perfect the humidity levels. Concentrates generally last much longer than the fragile fresh flower. They may last upwards of a year or more, depending on initial quality. If the concentrate is in a vape pen or other hermetically sealed container, the only issue is the exposure to light. Keep in a dark place, and your concentrate should last for months. If it tastes funny when you do choose to vape again, that could be an indication that it's degraded beyond use. Other indications are a change in color, has it lightened or darkened over time? Use your senses to determine whether or not the concentrate is still usable. Unlike fresh flower or concentrates, edibles have a much shorter shelf life. In fact, most of the time they are only good for a few days or a few weeks, depending on the product. A baked good might last for a week to ten days if stored in the refrigerator, while a hard cannabis candy will last for a few months if stored in a dry place. All depends on the ingredients, the packaging, and the individual product. Do yourself a favor eat those edibles quickly, before they go off! How long weed is good for will depend entirely on how you store it. To get the most out of it, you'll want to store it in a glass container while monitoring the humidity levels. If you store it in things like a pill bottle, zip lock bag or just leave it out exposed to both light and oxygen, it will rapidly degrade. Also, be on the look out for mold when storing it for long periods of time. Especially, if you live in a wetter environment.